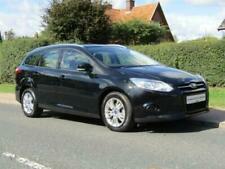 2008 Ford Focus CC-3 D 2.0 DTi, Coupe Convertible, 6 Speed Manual, Bronze, Full service history, 4 Months MOT car for sale! Last serviced on 75k Miles. Previously recorded as cat N.
009 FORD FOCUS 2.0 CC-3 COUPE CONVERTIBLE - 47,500 MILES ONLY - HIGH SPEC - EXCELLENT TO DRIV E. Blue Over Charcoal Black Half Leather Interior. Excellent, collected from Lancashire, 1 hour flawless drive, MOT undertaken. The electric roof works perfectly. It is a good looking car generally, both inside and out. Hi. Im selling this on behalf of my freind, she doesn't have an ebay account. She has owned the car from new so 1 lady owner 66500 on the clock Ive driven the car back to my house and it does drive very well. The steering and gears feel nice tight and very smooth. Has the odd scratches and dings on it, the worse part is the dent on the bonnet and the clips on the plastic grill are broken. Its had a recent fan belt and tensioner on it. Sold as seen and cash on collection any questions just message me and I'll get back to you as soon as can. Happy bidding. 2009 FORD FOCUS CC-2 CONVERTIBLE SILVER. 1999 CC AUTOMATIC PETROL WITH 102985 MILES. CAR RUN AND DRIVE. CAR IS IN OUR YARD NEAR CHELMSFORD IN ESSEX. Mitre Motors Ltd - Call us on 441913387307 or click here to find out more. 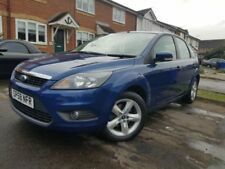 FORD FOCUS CC-3 IN RED, HALF LEATHER SEATS, SERVICE HISTORY, MOT'd TILL SEPT 2019, BODY AND PAINTWORK OK, DRIVES OK, AND THE ROOF WORKS AS IT SHOULD. IT HAS SATNAV ( NO DISC ) AND WE HAVE RECENTLY FITTED A NEW CLUTCH, FLYWHEEL, AND CONCENTRIC CYLINDER. 2.0 Petrol. 2009 Ford Focus CC2. The brakes feel like new,no signs of wear. The wheels are in a good condition with very few marks with very good tyres that have plenty of life left. The engine and gearbox work beautifully,the engine is quiet and refined and the gearbox changes smoothly but very crisp and precise. clipstone car sales - Visit us for a test drive - Call us on 441623397349 or click here to find out more. GREAT GOOD CONDITION CONVERTIBLE, MOT TILL 04/02/2020 ,COMES WITH 3 MONTHS RAC WARRANTY AND 51 POINT CHECK,WILL BE SERVICED,HPI CLEAR ,PAYMENT BY DEBIT OR CREDIT CARD,TEST DRIVE WELCOME. Ford focus convertible 1.9 diesel 60.000 genuine miles. Saul Roberts motor sales - Visit us for a test drive - Call us on 441495360322 or click here to find out more. Crofton Car Sales Ltd - Visit us for a test drive - Call us on 441924793501 or click here to find out more. 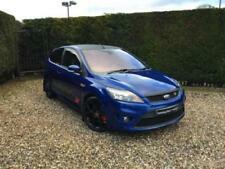 Ford Focus CC !!!!!!!!!!!!!!!!!!!!! deposit taken !!!!!!!!!!!!!!!!!!!!!!!!!!!! 2009 Ford Focus cc-3 Diesel Convertible A Great example of this 2.0l Diesel Focus. Exterior and interior of the car is in Great condition. The car drives as it should with no faults. With the following features. Low mileage focus cc with only 60k full service history and new 12 month mot, 2 keys, leather interior, alloys, parking sensors, very tidy condition throughout, hpi clear, Px welcome. 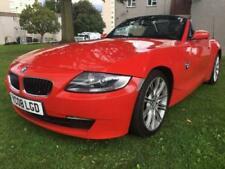 Please see our other selection of low mileage affordable cars or browse our website. Very low mileage of 43k and it drives as you would expect for a low mileage car. MOT runs until 1/4/2020. It has had 2 owners from new the last owner since 2010. Ford Focus Cabriolet 2.0 petrol 5 speed manual. swift car sales lillyhall - Call us on 441900515890 or click here to find out more. J R Auto's - Visit us for a test drive - Call us on 441763295812 or click here to find out more. ELECTRIC FOLDING ROOF. 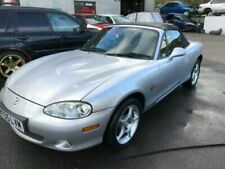 2 DR HARD TOP CONVERTIBLE. 2007 07 FORD FOCUS CC-3. 2 KEYS - ONE REMOTE KEY PLUS A SPARE KEY. UPRATED SONY STEREO. HEATED FRONT & REAR WINDOWS. HALF LEATHER INTERIOR WITH HEATED FRONT SEATS.